Memorial Day Weekend is a time for weekend getaways, barbecues and traditional events. 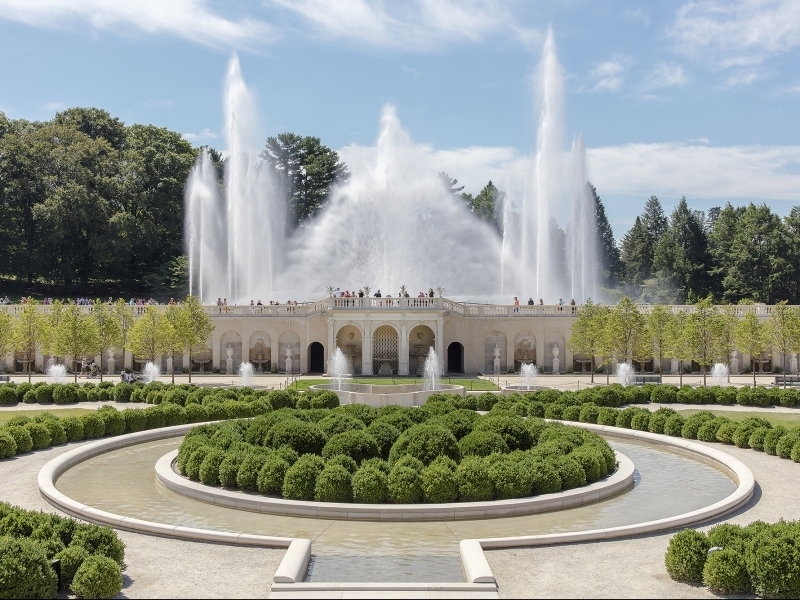 It is also a great time to visit Longwood Gardens (Route 1, Kennett Square, 610-388-1000, www.longwoodgardens.org). 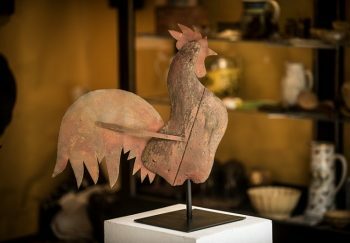 When Memorial Day Weekend arrives in the Brandywine Valley, it’s time once again for the Brandywine River Museum Antiques Show and Sale. The popular annual event is celebrating its 47th anniversary this year. The show, which runs from May 26-28 at the Brandywine River Museum (Baltimore Pike, Chadds Ford, 610-388-2700, www.brandywinemuseum.org), offers antique collectors — and anyone just interested in looking at vintage collectibles – a good option for a fun activity on the holiday weekend. The annual show features more than 30 top-flight antiques dealers from states all over America (including New York, New Hampshire, Connecticut, Maryland, Pennsylvania, Virginia, Delaware, Michigan, and Maine), who will be displaying and selling their wares at the three-day event. The roster of in-state exhibitors includes Ayscough Antiques (Chadds Ford), Ruth Van Tassel (Malvern), Boyd’s Antiques (Flourtown), Rogers School House Farm Antiques (New Holland), Ian Simmonds (Carlisle), Harley N. Trice (Pittsburgh), and Joseph Lodge (Lederach). Some of the other featured exhibitors are Mark & Marjorie Allen, Olson Antiques, Shaeffer’s Antiques, West Pelham Antiques, The Norwoods’ Spirit of America, Charles Edwin Puckett and David A. Zabriskie Antiques. The list also includes The Hanebergs Antiques, Hanes & Ruskin, W. M. Schwind, Jr., Shaia Oriental Rugs of Williamsburg, Dubey’s Art & Antiques, Brennan & Mouilleseaux, Harold E. Cole/Bettina Krainin Antiques, Brill’s Antiques, James M. Kilvington, Inc., Lisa McAllister, Aileen Minor, and Tucker Frey Antiques. Visitors to this weekend’s event at the museum will be able to select from a huge array of fine antiques including quilts, glass, ceramics, folk art, American and English furniture, Oriental and European porcelain, metalware, rugs and other fine collectibles. A special feature each year is a program of booth talks by antiques dealers on Sunday and Monday. Show hours are from 9:30 a.m.-5 p.m. both days. 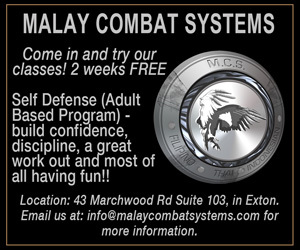 Admission is $20 per day. Another event where you can spend some time and money and add to your collection of art and antiques is the 2018 Downingtown Fine Arts Festival (Lancaster Avenue, Downingtown, 610-864-3500, http://downingtownfinearts.com). The festival’s hours are 10 a.m.-6 p.m. on May 26 and 10 a.m.-5 p.m. on May 27. The Downingtown Fine Arts Festival, which is free and open to the public, is presented by David Oleski Events and the Downingtown Main Street Association, in partnership with the Borough of Downingtown. Visitors to the festival will be able to check out an impressive variety of art in a wide range of categories including photography, paintings and jewelry. Some of this year’s paerticipating artists are John Balacki, John Cheng, Barri Wiley, Curtis & Sandra Jenney, Isa Kollgaard, Chris Bruno, Gina Stuebel, Milan Melicharek, Elie Ahad and Pamela White. As an added attraction, tasty food treats will be available for purchase from the festival’s featured food vendors as well as from the assortment of restaurants in the center of Downingtown. The Brandywine River Museum’s event, which is closing in on its 50th anniversary, is pretty old. But, when it comes to longevity, it pales in comparison with the Devon Horse Show (Lancaster Avenue, Devon, 610-688-2554, www.devonhorseshow.org). No-one on earth right now is older than the Devon Horse Show – not even Japan’s Misao Okawa, who turned 120 in March. 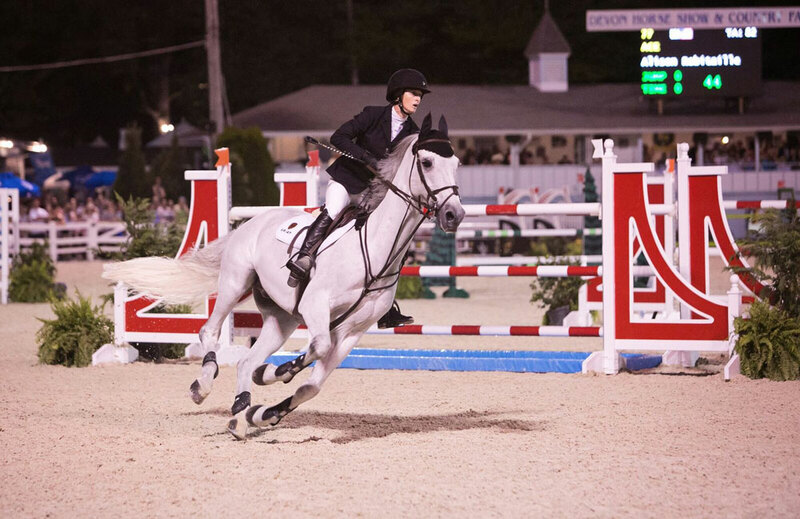 The 2018 show, which is running now through June 3, is the 122nd Annual Devon Horse Show and Country Fair. 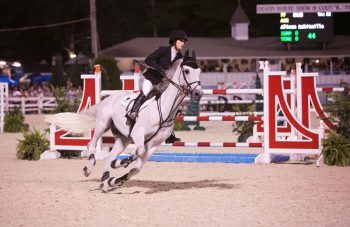 The Devon Horse Show is and always has been special. More than just another annual equestrian event, it is a family event that spans generations and traditionally marks the start of summer. It is a place where attendees go as much to see and be seen as to watch horses compete — a sporting event and a tradition-based social event. The Devon Horse Show began in 1896 as a one-day show with 28 classes. By 1914, it had grown immensely and had become the largest outdoor horse show in the country — a distinction it still holds. In 1919, it was decided that a “Country Fair” should be held in conjunction with the horse show and that the event should benefit Bryn Mawr Hospital. In 2010, the Devon Horse Show became just the fourth American horse show to be honored with the designation as a USEF Heritage Competition. This award is reserved for those competitions that have been in existence for more than a quarter century, promoted and grown the equestrian sport, and made a contribution to the community outside the gates of the horse show by achieving, maintaining and promoting the equestrian ideals of sportsmanship and competition. The Country Fair offers concessions featuring lemon sticks, cotton candy and buckets of fudge. Other main attractions at the fair are the a garden café, sales booths featuring antiques, toys, hand-crafted items, Devon Horse Show souvenirs and over 30 other shops with jewelry, art, clothes and equestrian-related items. Another popular family attraction is the Midway with its huge Ferris wheel, old-time carousel and wide array of amusement rides and games — plus kid-favorite goodies such as popcorn, cotton candy and funnel cake. 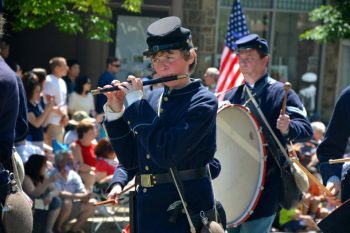 Kennett Square’s annual Memorial Day Parade (West State Street, Kennett Square, http://historickennettsquare.com), which honors the area’s veterans, is scheduled for May 28. The parade, which is expected to feature more than 1,000 participants and twice as many spectators, will get underway at 10 a.m. 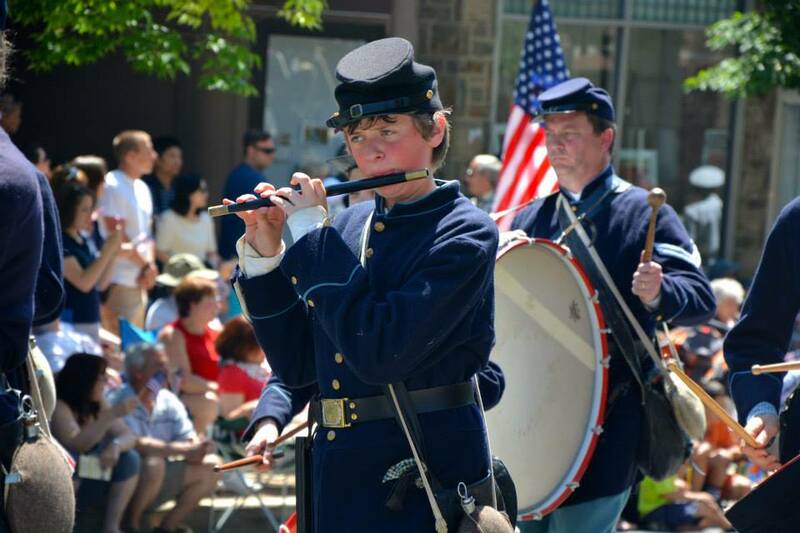 Participants in the parade will represent a wide array of interests with historic battle re-enactors, antique military vehicles, bagpipers, fife and drum units, color guard groups, high school bands, and local youth sports teams. The parade route for the Memorial Day Parade goes this way — Kennett High School to East South Street, South Union Street to East Cypress Street, South Broad Street to West State Street, to North Union Street to the Union Hill Cemetery on the left. The parade will come to an end at the Union Hill Cemetery and will be capped with a memorial gun salute. Warm weather provides an ideal environment for sipping wine while listening to live music in a pleasant outdoor setting. Not surprisingly, several area wineries put the two activities together for special events on Memorial Day Weekend. The Chaddsford Winery (632 Baltimore Pike, Chadds Ford, 610-388-6221, www.chaddsford.com) is hosting its Memorial Day Music Festival from May 26-28. 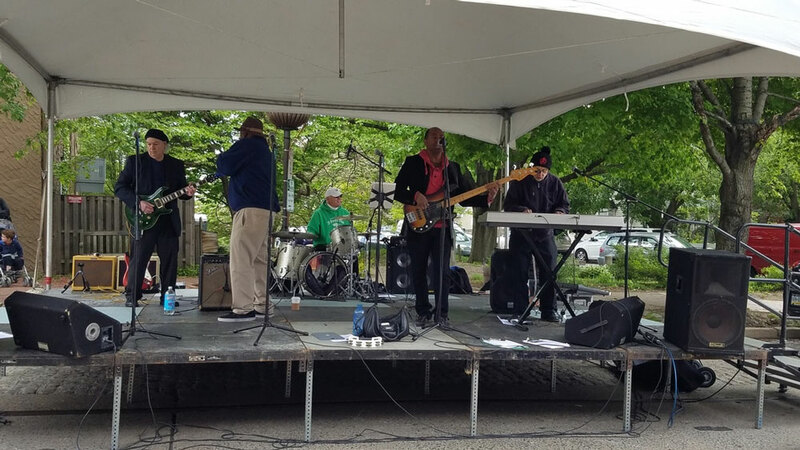 Live music performances on May 26 will be presented by Slim and the Perkulators from 11;30 a.m.-2:30 p.m. and Scoville Blue from 3:30-6:30 p.m. Sunday’s schedule will feature Jon Hay from 11 a.m.-2 p.m. and the Little Red rooster Band from 3-6 p.m. and Monday’s schedule has Steve Guyger from 12:30-4:30 p.m.
Tasty food items will be available for purchase from the featured food truck the Meat House. Admission to the festival is free, and all wine and food purchases are pay-as-you-go. Chaddsford Winery reserves the right to refuse entry to any individual not accompanied by an adult. 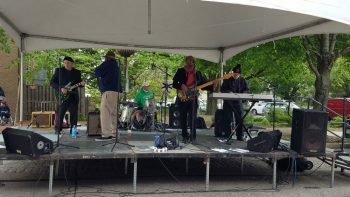 Black Walnut Winery (3000 Lincoln Highway, Sadsburyville, 610-857-5566, www.blackwalnutwinery.com) will present its Eighth Annual Black Walnut Winery Blues Festival this weekend with shows on May 26 and 27 from noon-7 p.m. each day. On May 26, the free family event will feature music by Blue Bizness (noon-3 p.m.) followed by The Dukes of Destiny (4-7 p.m.). Acts scheduled for May 27 are Gary Brown (noon-3 p.m.) and the Deb Callahan Band (4-7 p.m.). Uncle B’s BBQ Shack of Phoenixville will be on site making and selling their famous BBQ specialities. Admission is $10. Visitors can bring their own picnic lunches but no outside alcohol is allowed on the site. Guests can also bring their own blankets and chairs. The Mount Hope Estate & Winery in Cornwall’s Great Pennsylvania FlavorFest has evolved into one of the winery’s most popular annual events. This year’s 11th Annual Great Pennsylvania FlavorFest will be held May 26 aqnd 27 on Mount Hope’s grounds (Route 72, Cornwall, 717- 665-7021, www.parenfaire.com) from 11 a.m.-5 p.m. each day. The annual feast for the taste buds features many of the region’s finest wineries sampling and selling their vintages, cooking demonstrations, specialty foods for sampling and for sale, master artisans, live music and an interactive Crafty Kid’s area. One of the nicest aspects of the event is that it is free — free admission, free tastings and free parking. There will be more than 20 wineries from Pennsylvania offering samples of and selling of their many varieties. Local restaurants and food vendors will also be offering samples from their menus. Some of the featured wineries are The Winery at Wilcox, Star Hill Vineyard & Winery, Fero Vineyards & Winery, Juniata Valley Winery, Heritage Wine Cellars, Benigna’s Creek Vineyard & Winery, Bee Kind Winery, and Franklin Hill Vineyards. The roster also features Sand Castle Winery, Boyd’s Cardinal Hollow Winery, Broad Mountain Vineyard, Buddy Boy Winery, Shade Mountain Winery, Capra Collina Winery, Mount Hope Estate and Winery, Mazza Vineyards and Jackson Square Vineyard. FlavorFest will feature a variety of specialty food vendors. Visitors will be able to sample and purchase gourmet food items such as sauces, dips, pastries, cheeses – along with Pennsylvania Dutch favorites such as whoopie pies and traditional shoo-fly pie. As an added attraction, chefs from local restaurants will present cooking demonstrations each day highlighting gourmet dishes in their restaurants’ signature styles. 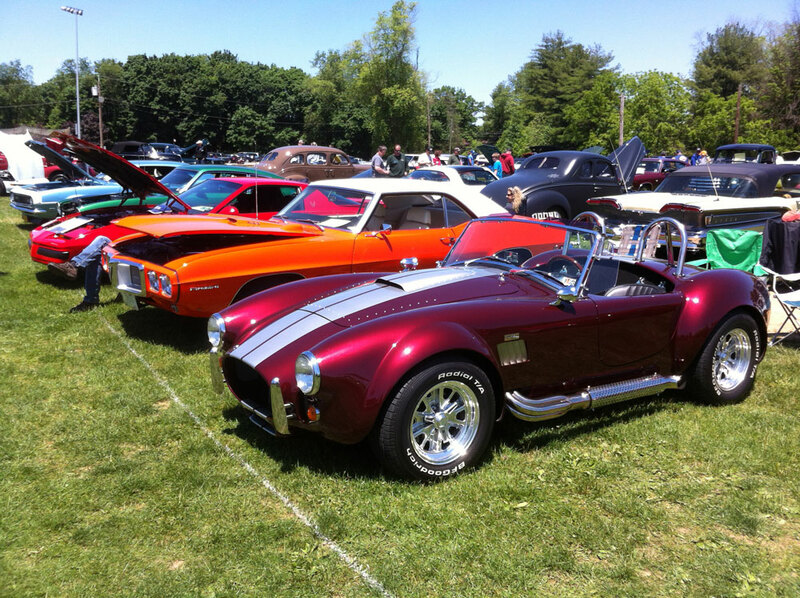 If you have an interest in classic automobiles, antique tractors, vintage Mustangs or just cars in general, you should plan on making a trip to Kimberton this weekend. On May 27, the 39th Annual Chester County Car Show will be held at the Kimberton Fire Company Fairgrounds (Route 113, Kimberton,215-646-4265, http://www.chescoacc.com). The event will begin with auto registration at 9 a.m. A wide array of vehicles will be on display, including antique cars, motorcycles, classic cars, antique tractors, hit-and-miss engines, Mustangs and street rods. In addition to all the cars on display, the one-day event will also feature an automobile flea market, an arts-and-crafts show, a food court and music by a deejay. 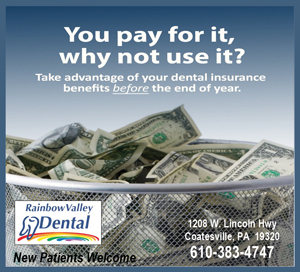 There is no admission fee but a $2 parking donation is requested. The Delaware River Waterfront (http://www.delawareriverwaterfront.com/events) is inviting visitors to spend their Memorial Day Weekend in Philadelphia for five days of waterfront festivities, ship tours, and sailing excursions on the Delaware River as tall ships from U.S. and international ports dock at Independence Seaport Museum and Penn’s Landing. Several of the attractions along Penn’s Landing have teamed up to present Penn’s Landing Waterfront Day and Memorial Day Fireworks. The event, which will run from May 25-28, features live music, a pop-up beer garden on a boat, and special offers at Penn’s Landing attractions. The multi-day event will feature a show by the United States Air Force Band and a gala fireworks show above the Delaware River on May 26. The concert will get underway at 7:30 p.m. followed by the fireworks at 9 p.m. There will also be a concert by the Lower Merion Jazz Band at 7:30 p.m. on May 25. Independence Seaport Museum will charge a discounted price of $20 for paddle boat rental and museum admission. Patriot Harbor Lines will feature half-price tours from noon-5 p.m. and Blue Cross RiverRink Summerfest will offer roller skaters $3 discounts per session. On May 26, the Mann Center (5201 Parkside Avenue, Philadelphia, http://phillypops.org/memorialsalute) will host the Comcast NBCUniversal Memorial Salute with the Philly POPS at The Mann Center. The Philly POPS will honor the men and women who serve our country during the third annual holiday salute concert at the vopen air venue in Fairmount Park. The concert, which will get underway at 7 p.m., is a free showthat is open to the public. Led by Maestro Todd Ellison, Memorial Salute features the 65-piece POPS orchestra, the Voices of the POPS, and the Philly POPS Festival Chorus in a stirring line-up of patriotic anthems, Great American Songbook classics, and legendary show tunes. Broadway’s Nikki Renée Daniels will take the night off from her starring role in the Tony Award winning musical The Book of Mormon to sing with the POPS as guest vocalist. Philly-native and POPS favorite guest artist Justin Hopkins brings his powerful, moving voice back to the stage after starring in 2017’s POPS Christmas concerts. featuring patriotic anthems as well as popular show tunes and hits from the Great American Songbook. If you enjoy walking around garden displays or if you like to look at model railroad layouts, then you should definitely check out the Garden Railway Display at the Morris Arboretum (100 Northwestern Avenue, Chestnut Hill, 215-247-5777, www.business-services.upenn.edu/arboretum/index.html). The ultra-popular Garden Railway Display has become a major summer attraction at The Gardens at Morris Arboretum. The 20th annual edition of the display has its official season opening scheduled for May 26 and then will remain open until October 8. The railway has a quarter-mile of track featuring seven loops and tunnels with 15 different rail lines and two cable cars, nine bridges (including a trestle bridge you can walk under) and bustling model trains. The buildings and the display are all made of natural materials – bark, leaves, twigs, hollow logs, mosses, acorns, dried flowers, seeds and stones – to form a perfectly proportioned miniature landscape complete with miniature rivers. Philadelphia-area landmarks are all meticulously decorated for the holidays with lights that twinkle. There is even a masterpiece replica of Independence Hall are made using pine cone seeds for shingles, acorns as finials and twigs as downspouts. Video link for Garden Railway — https://www.youtube.com/watch?feature=player_embedded&v=RSJUqYxoHb4. Much of the world’s tastiest cuisine comes from Mediterranean countries such as Italy, Turkey and especially Greece. Two of the area’s top Greek festivals are on the schedule for the next two weeks. The Grecian Food Festival at St. Sophia Church Grecian Festival (900 South Trooper Road, Jeffersonville, 610-650-8960, www.stsophiavf.org) is running from May 30-June 3. The 2018 Greek Festival at the Holy Trinity Greek Orthodox Church (808 North Broom Street, Wilmington, 302-654-4446, www.holytrinitywilmington.org) opens on June 5 and runs through June 9. The list of main dish items at St. Sophia’s festival has a wide variety of meat and vegetable items. Chicken Oreganato is Grecian-style chicken roasted with a mixture of lemon, oil and oregano, while souvlaki is grilled pork tenderloin marinated with special herbs. Loukoumades , the Greek version of doughnuts, are deep-fried and dipped in honey with a dash of cinnamon. Floyeres is a baked dessert prepared with thin layers of buttered pastry sheets, almonds, spices, and honey syrup.Galaktoboureko is a custard dessert baked between carefully placed pastry sheets and covered in syrup. And, Greek Festivals offer a wide array of live entertainment. Greek-American groups from the Delaware Valley will play popular Greek songs and standards and theer will be performances of traditional Greek folk dances. The festival also features a taverna – a bistro-style site for dancing and drinking. Other attractions are Greek grocery stores and sales booths with items such as Greek music, icons, custom-made jewelry, leather goods and fabric. There will also be a variety of children’s activities.